you wouldn’t even know you are missing any of the above in the recipe today! Yes, I had to type this in bold. The vegan chocolate cupcake recipe today is not any ordinary one! It’s switching the chocolate cupcake’s gear to the next level delicious! Ticks all the marks of a rich, moist and spongy chocolate cupcake. Look how flat and shiny those tops are! We would never take these any other way either! 😉 Flat tops. Prime necessity to be able to pipe 4 buckets of frosting on each cupcake. What gives this vegan chocolate cupcake recipe its texture? This trio creates the world’s most amazing, soft, moist and fudgiest vegan chocolate cupcakes that you will ever know! These three combined together, bring in a ton of moisture in the cupcakes that I can’t stop talking about! You won’t too! For the Raspberry buttercream Frosting.. I have used vegan butter today (Earth Balance). This buttercream is extremely simple. 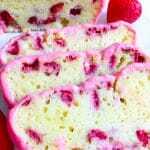 It uses a very few ingredients and is so soft, smooth, light and velvety. Oh and filled with sweet raspberries thickened puree and a hint of vanilla! You may use regular butter, if not vegan! Equally delicious. Wait! Did I tell ya? This frosting has got no funky artificial colors? Raspberries dye them in pretty pink. This is beautiful, but not very dark to sight. Feel free to add a tiny drop of food color if you want them more pink than they already are. Also it frosts well as is quite sturdy! Love pink cookies? These strawberry cookies got you covered! Want another frosting? Try my strawberry whipped cream frosting over these cupcakes next. So flavor rich! Love strawberries even more? You need to try my health filled strawberry oats cookies asap! Another one of my favorite vegan chocolate cake right here for you! What? Are you still here? Go grab your mixing bowl, measuring cups and whisk. It’s time for you to experience this vegan chocolate cupcake recipe right now! 1. Preheat your oven to 350 deg F and line 12 cupcake liners. Set aside. 2. In a large mixing bowl sift together flour, cocoa, baking powder, baking soda and salt. Add sugar in and mix well using a dry whisk. 3. In a liquid measuring cup measure coconut milk and add oil, then vinegar to it. Mix well. 4. Add all the wet ingredients to the dry ones and mix just until combined. 5. Pour the batter in the cupcake liners and bake for 30-35 minutes or till they pass the tooth pick test. 6. Take out and let cool on a wire rack completely. 1. Make sure everything is at room temperature. Beat butter, salt and half of the powdered sugar till light and fluffy. 2. Add the remaining sugar and continue to beat until peaks are formed. Also add a tiny drop of gel food color if needed. 3. Beat in raspberry puree and vanilla, just until combined and the frosting is of pipeable consistency. Keep in the refrigerator for ten minutes or so(if needed) before frosting for those pretty swirls. You may use regular butter for in the recipe if not vegan! Also feel free to replace coconut milk with regular full fat milk, if you don't mind non-vegan cupcakes! Make sure to add cooled and thickened raspberry puree to the frosting. The frosted/unfrosted cupcakes stay fresh for 2-3 days in refrigerator. It is easy to store the unfrosted ones in the freezer upto 2 months (if required). Thaw them and frost with fresh buttercream to enjoy! Frosting can be stored separately in an air tight container in the refrigerator upto 7 days. Thaw for 5-7 minutes before piping. Very pretty with that pinky frosting! These sound fabulous. I’m a sucker for anything dressed in pink! Thanks for the appreciation Judee! The cupcakes look incredibly delicious , love the wonderful colors .Addition of coconut milk and vinegar is interesting ! It truly makes all the difference especially when the bake is vegan! Great recipe, they look delicious 😋 Can I ask you does Earth Balance butter ever have issues with separating or melting when used for frosting. In Australia the closest think we have is Nutlex and when I first prepare it in mixer it comes out looking just like regular frosting but then the icing sugar starts to separate and the consistency changes. Haha! You are totally fine! I tried this recipe today. My 11 yo absolutely loved it. Thank you!! Thanks for reporting back Denise! SO happy to hear that Richa! Oh man, these look so rich and chocolatey! I’m always looking for good vegan recipes to make for my friends that don’t eat dairy, so I can’t wait to try these! Neha, I love this! 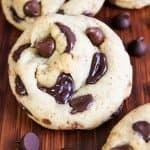 I can’t wait to make these for my vegan friends! And I also love the vegan frosting, it is beautiful! Thanks so much! Most welcome Laura! 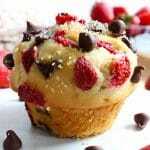 You are sure to wow your friends with these cupcakes. That is so kind of you Laura! I would like to make for my kids . Could you please let me know the size of cup in ml ? Like is it 200 ml or 250 ml ? Thanks Veena. I use standard sized cups. They hold 120 grams of apf (for dry measurement reference) and 250 ml for liquids. These cupcakes look absolutely divine Neha. I especially love your raspberry buttercream frosting. Thanks for sharing! Thank you instead Neil for liking these. The frosting was smooth and flavorful indeed.